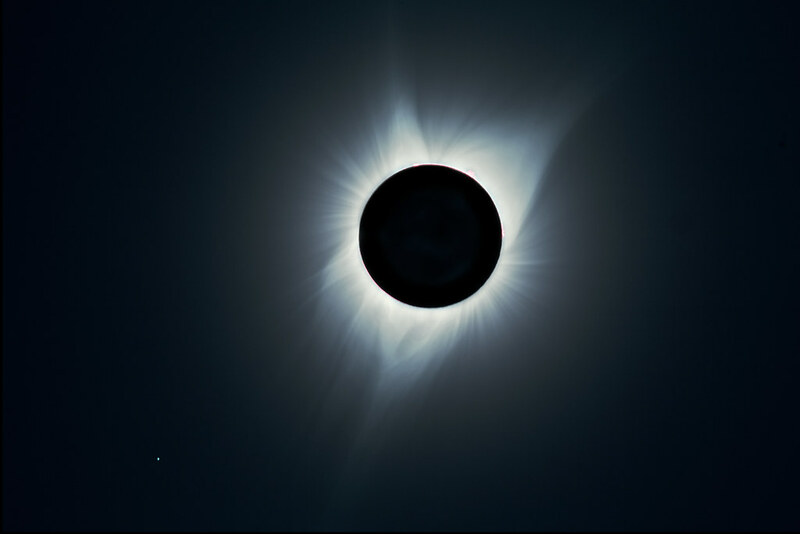 Help - How do you create these composite eclipse shots? - SolarChat! I thought I would start this thread because I think as a solarchat forum we should cover this technical aspect. I see so many super total eclipse shots where all the different exposures are put together as an HDR effect. Having never seen a solar eclipse before I have never done this process. I tried to follow Pedro's guide last night and my image was nothing remotely like what he got in the guide or what other got so I don't know where I am going wrong. Where did folks learn this method from? is there a secret plugin that does it? can we expose this knowledge here and try and get everyone to get a great result from their images so there is a resource for everyone to use in the future. So first question, I have 7 exposures (RAW) and Photoshop, where do I start? I added them all in layers, changed to 'difference' but do you leave the bottom as normal? I tried the circle and hide layers but then everything disappears and I get a progressively black image not a corona image. hopefully this may help me, looks complicated and which method to use? any help to what I am doing wrong would be greatly appreciated (or is it secret?). Am I the only one who can't follow the method? You cannot use the "difference" option in layers to finish the task. I tried to use the astropix procedure with layers too at first and got a similar result as you. So, to make light of the situation, you're following in my footsteps. The key is the "Apply Image" command which is the tedious part in the whole procedure, having to keep track of every exposure you are using. What version of Photoshop are you using? I got my image using Photoshop CS5. I tried it in CS2 and for whatever reason the Add option under "Apply Image" command didn't work when adding the different exposures together. Thanks Chris, I am using Photoshop CS5. I have done each frame individually so far creating a blurred image of each and now I am putting the blurred image on top of the clear one and doing 'apply image' and using the opacity of 100 percent, a scale of 1 and an offset of -128 for each (as per the website instructions). But this just gives me a plain grey picture, there is no detail. I shall try Wah's slightly different order above and see what happens. Still nothing, I still just get a perfectly flat grey image when I do the 'apply image' step. So there is nothing to overlay? I must be so stupid as everyone can do this but me. I opened an image, clicked cntrl J to duplicate the image. On the original image 'background' I used radial blurr. I then changed to the new duplicated layer and used 'Apply image' subtracted - using the opacity of 100 percent, a scale of 1 and an offset of -128. This gives a plain grey image. I copied this plain grey to clipboard and deleted the layer and pasted it over the top of the original. I then changed to overlay and this just resulted in a blurred image. Sorry, forgot to mention, you have to choose another image during the "apply image" action. Looks like you've got the hang of it! I am attaching my composite which I did after viewing this video. Hope this helps. Love your totality shot, too. BTW, where were you for the eclipse? Here is my totality composite. That looks like it works to me Robert! Fantastic Robert!! the complete set is next on my list to do now I have my totality shot, so I shall watch the video. It is great to have all these links together and hopefully it will help other folks if they are having difficulty. Certainly you have some excellent shots we were also in Oregon at a farm just south of Silverton, about 5 minutes from the Silver Falls National Park. It seems a lot of us were in Oregon but in different places.